Secure storage is a service that Access World Logistics is proud to provide to our clients. At some point, nearly every shipment will pass through a warehouse along the way from origin to destination. This is why we maintain relationships with the warehousing community all over the U. S., Canada and Mexico. It’s important for you to know that at each step of the transportation process, your cargo is secure.While in storage, AWL Corp takes all of the necessary steps to ensure you and your property is 100% protected and insured 24/7. Handling your heavy and sensitive items is not a problem. 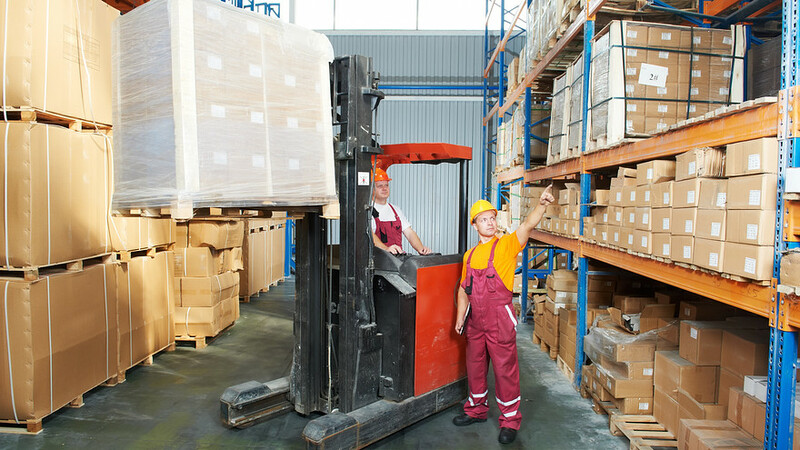 We have access to high capacity forklifts as well as cranes, when heavy-lift capabilities are needed. When your shipment requires secure storage, whether inside or in an outdoor storage area, we will place your cargo in the facility location which best suites your needs. If your cargo requires special handling, such as hand unloading, re-packaging, labeling and sorting, we will make sure the job is done to your specifications. We provide you with certificates of insurance for each individual facility we utilize to receive, store and trans-load your cargo. If you need us to pick up your cargo and package it for export or, uncrate and deliver the cargo to your customer’s door, we can do it with the level of professionalism you expect for your customers. At AWL Corp, we manually palletize your cargo to ensure that it is always handled with the utmost care. We have the ability to shrink wrap any size cargo that you may need wrapped for shipping or storage. We ensure that the wrapping is secure and to spec. Whether you need pallets or machinery wrapped for transit, or storage, we have a solution to meet your needs. Our labeling services can range from simple hand written marks on packaged components, usually larger items, to producing a complete inventory control system which tracks the received/shipped items with all backup documentation, for smaller, high volume items, such as medical supplies or cosmetics. Although we concentrate on crated machinery components, which sometimes arrive in large shipments (40-80 individual cases arriving at the port on the same vessel,) we can also provide the right facility for smaller items with daily inventory control and shipping reports. Expedited delivery of high priority cargo, which involves ground transportation by truck, can vary greatly, depending on the distance involved in getting the shipment from point “A” to point “B.” Some cross country shipments require “Team Drivers.” For example, when we load expedited cargo on the East Coast for delivery to California, the truck will roll non-stop from loading until delivery, except of course for weigh stations and fuel. Each driver takes a turn while the other sleeps, thus conforming to federal DOT regulations pertaining to mandatory maximum driver hours allowed. The cost for expedited service is considerably higher than ordinary loads, but when a manufacturing plant is shut down waiting for a major replacement component, the price is insignificant, compared to the loss per hour.